Size: 16.00 x 7.15 x 2.40 mm. 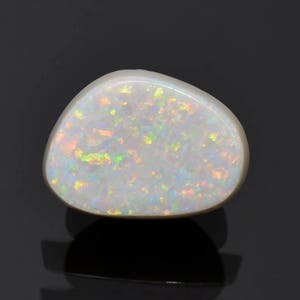 Here is a stunning Opal gem! 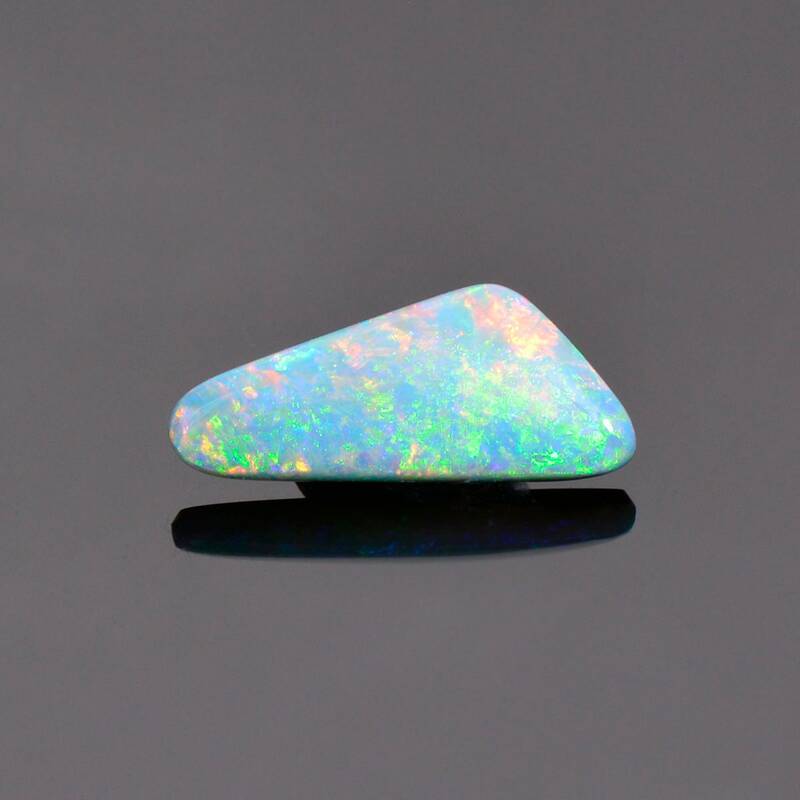 It is from the renowned Opal fields of Mintabie in Australia. Mintabie is in the heart of Australia and some of the best quality Opal localities you will ever see. 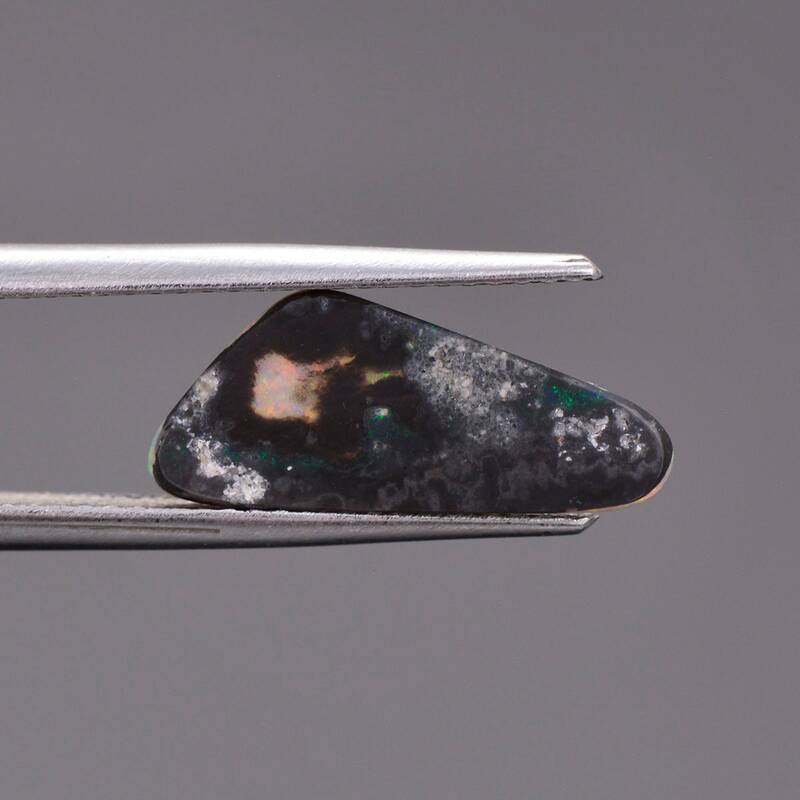 The major production is of Semi-Black Opal which is a type of solid Opal that is approaching the deepness of true Black Opal. However, a brighter and prettier Opal material than this you couldn’t ask for. 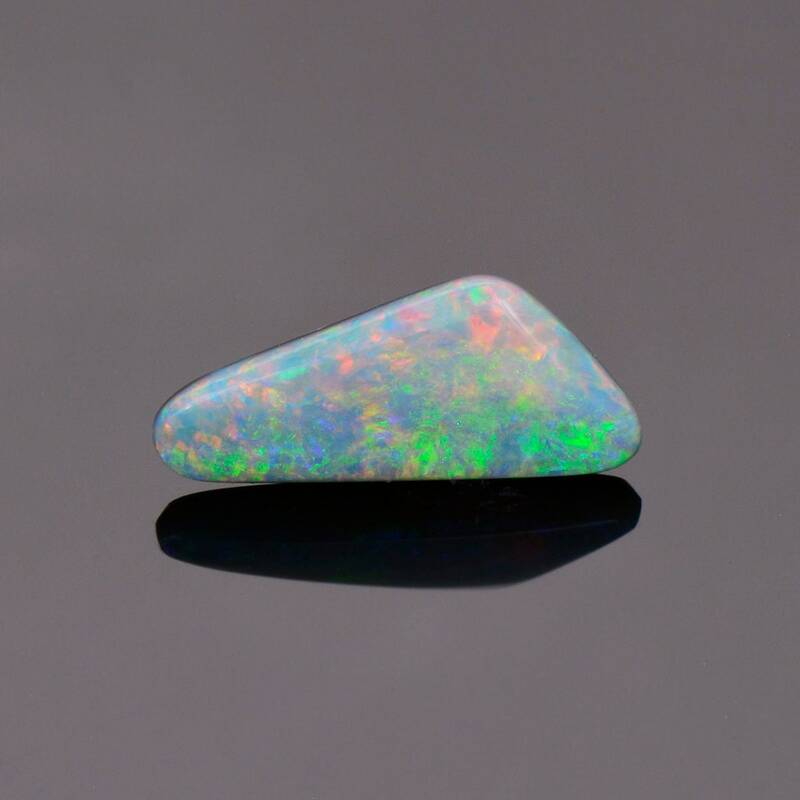 The body of the Opal is bluish color, but turns a bright orange when backlit. 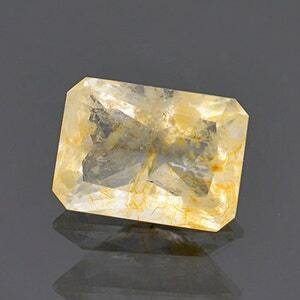 The back of the stone has a natural Magnetite layer causing a vibrancy to the colors seen. This black layer is completely natural and not a manufactured backing, which makes this piece extremely desirable. 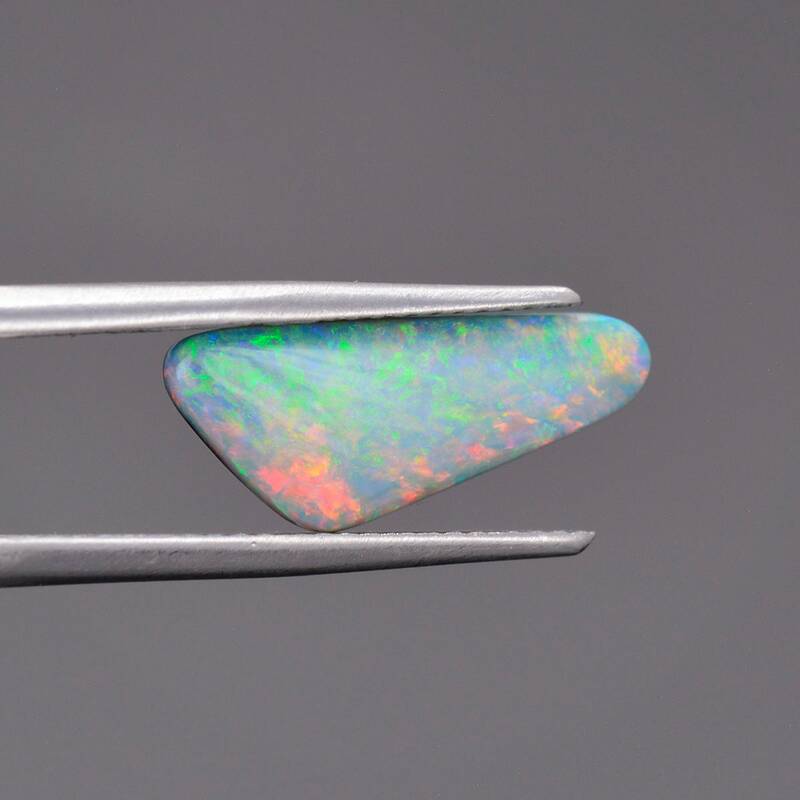 This stone is a fun freeform shape, which is common for Australian Opal cutters to keep yield. The color pattern is a Pinfire with flashes of blue, green, orange and red. 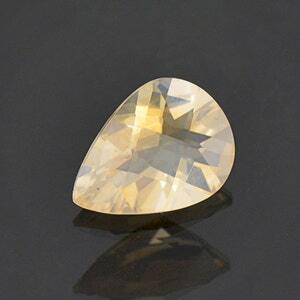 This gem will make and outstanding piece of jewelry, either a ring or a pendant! This stone has no backing, cap or treatment of any kind. 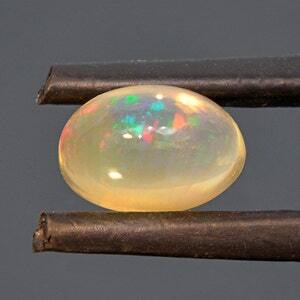 This is a natural and stunning piece of Opal. Enjoy! 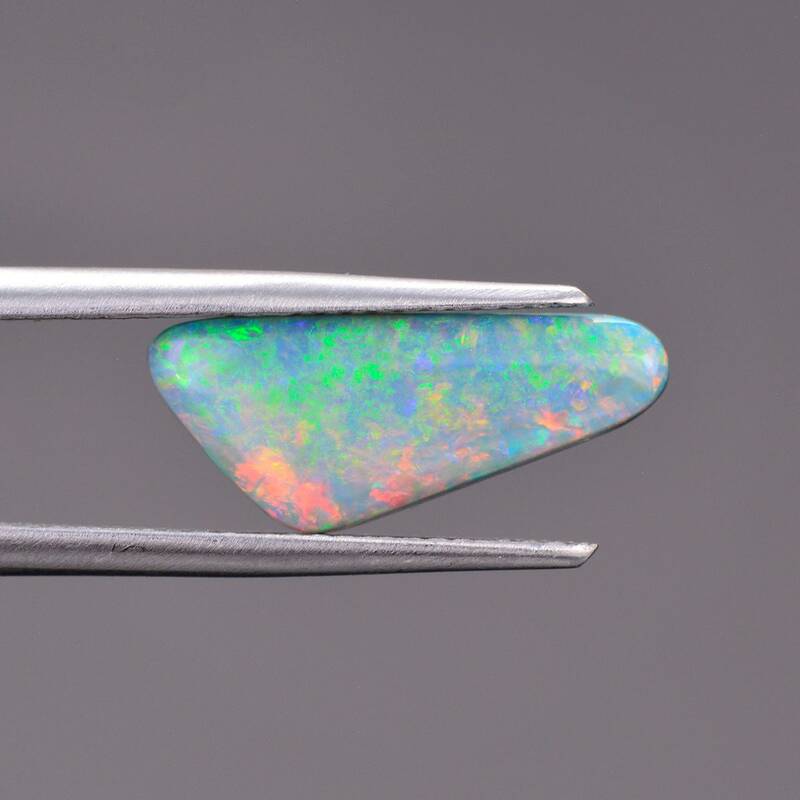 Glittery Checkerboard Cut Opal Gemstone from Mexico 1.66 cts.